Each year, UCLA hosts an academic conference about Freemasonry, centered around a general theme for the program, and chaired by Dr. Margaret C. Jacob (author of Living the Enlightenment). This conference has been the result of a longstanding sponsorship by the California Masonic Foundation and the Grand Lodge of California. The Program's chair is Dr. Susan Mitchell Somers of Saint Vincent College in Pennsylvania, and General Editor of the Journal for Research into Freemasonry and Fraternalism. The 8th International Conference on Freemasonry at UCLA will be held this year on On March 2, 2019. 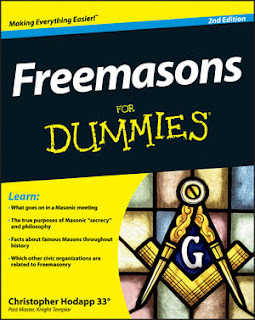 The topic is 'Diversity and Exclusivity in 18th Century Freemasonry' and explores how Masons in the 1700s forged connections with those from outside their own cultural traditions. •“A Safe Haven for a Scandalous Man? The Strange Career of Mathieu-Noël Rioust, (ex-) Priest, (ex-) Revolutionary, (ex-) Journalist and (ex-) Freemason.” Jeffrey Tyssens, Ph.D., shares the story of a French journalist whose life trajectory wound a brilliant, scandalous, and volatile path through the French Revolution, Catholic priesthood, Freemasonry, and international politics. •“Freemasonry, Tolerance, and Images of Inquisition Persecutions: Crossing the Protestant-Catholic Divide.” Reva Wolf, Ph.D., reveals how Masonic artwork raised awareness of the horrors of the Catholic Church’s Inquisition, leading to an interdenominational condemnation of its discriminatory campaign. •“The Stone That the Builders Refused: How Jews Came to Lead Freemasonry in Rhode Island.”Samuel Biagetti, Ph.D. explains how a small congregation of Jewish Masons played a pivotal social role in colonial Rhode Island, cultivating reunification of their diverse community following the tumultuous American Revolution. 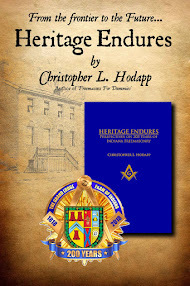 •“Critical Analysis of the Start and Origin of African Lodge No. 1” Bro. John L. Hairston Bey reveals deep insight into the creation of Prince Hall Freemasonry, showing how its founders intended to be part of “mainstream” Freemasonry rather than forming a parallel fraternity. Cost is $30 for the Conference, plus an optional $20 for a buffet lunch. Daylong parking is available for $12. The parking lot is located beneath the building where the conference will take place. The conference location is not easily accessible to off-campus parking. Driving or carpooling is strongly recommended. For reservations (required) and more information, see the Eventbrite page HERE.